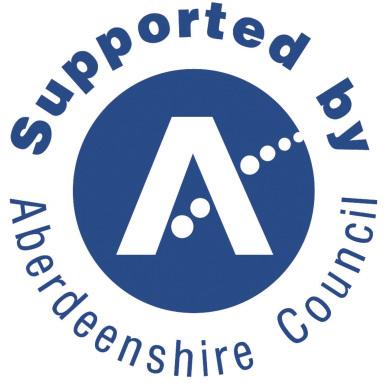 Bennachie Woodland Wander – The project is part of a Aberdeenshire wide arts and dementia initiative called – Create:Connect – making connections for dementia through creativity. My idea for this project was to get people out and about and enjoying the surroundings. I wanted each workshop to be a little outdoor adventure. I introduced new techniques and materials each workshop to keep it fun and interesting. 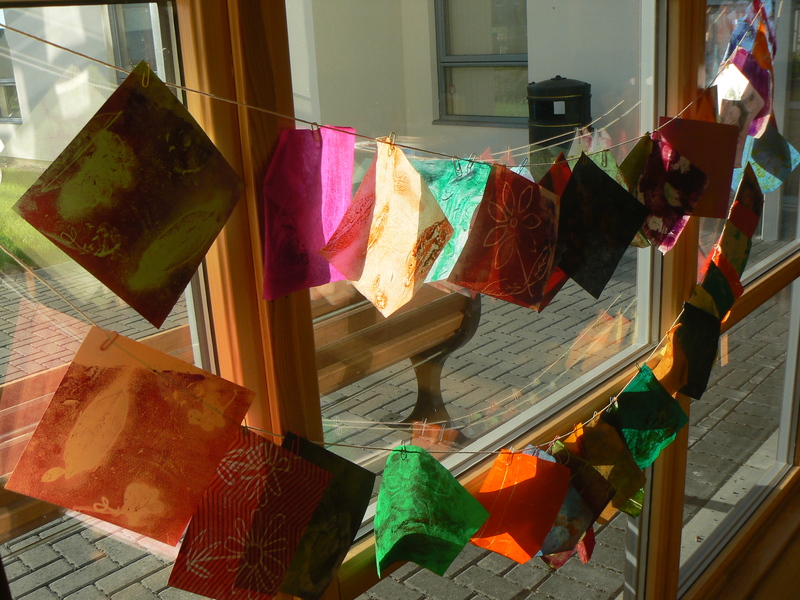 There is an emphasis on a social, friendly and relaxing atmosphere rather than any pressure to create finished artwork. Sadly we have come to the end of this wonderful project. 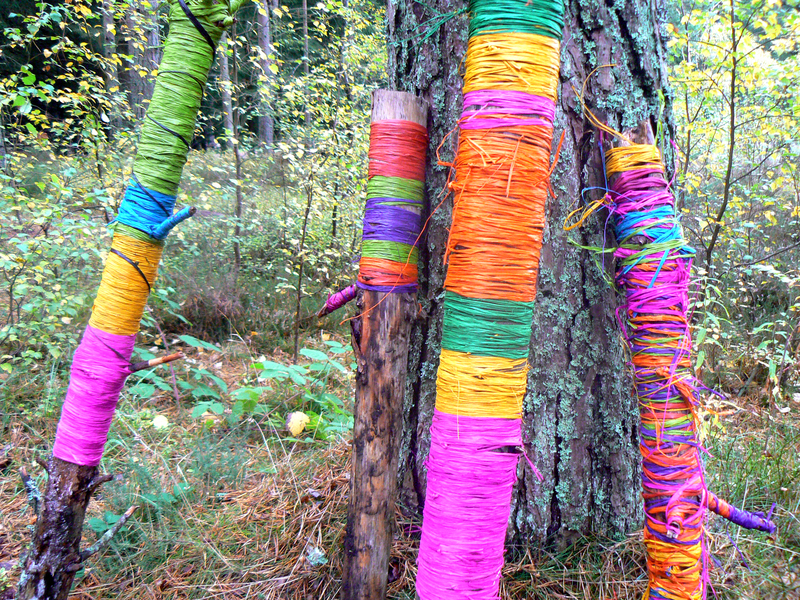 The art trail looks amazing, everyone has enjoyed a good laugh and surprized themselves with their own creativity. A success. 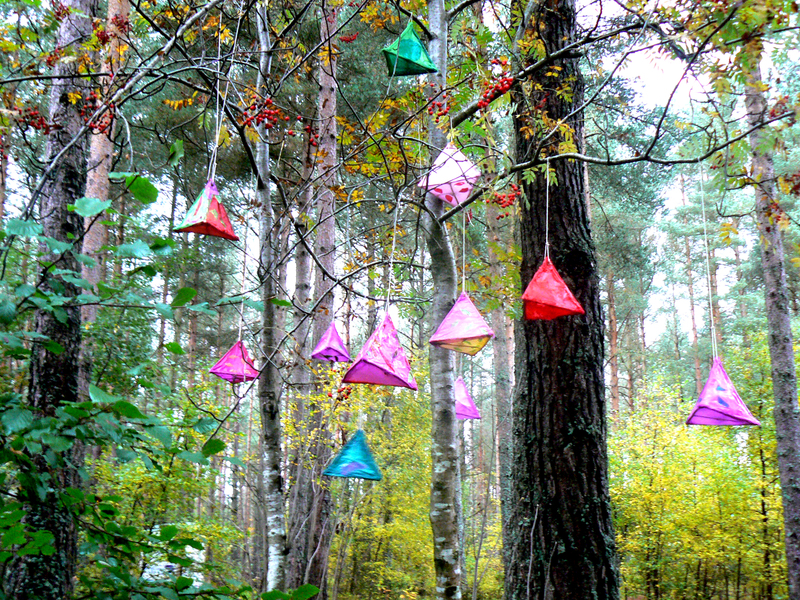 As a last woodland wander I decided we should make something we can take home to remind us of our adventures. A little piece of Bennachie to take home. We used plaster to create leaves that will last forever. They look lovely painted or just left natural with a few little bits of the leaf stuck in it. The images that have been produced during this project have been great, so much better than I had imagined. I wanted the participants to know this and be proud of their work. 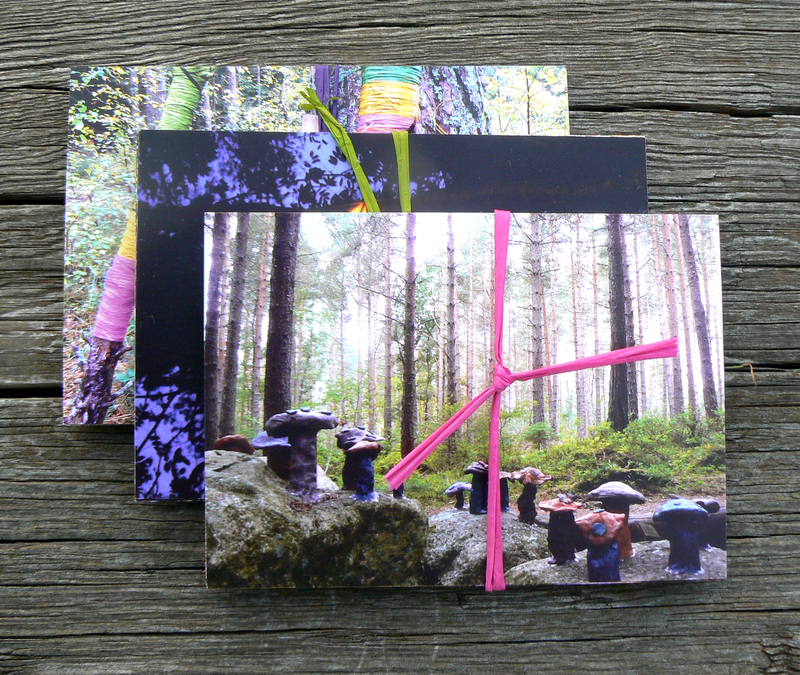 I got some postcards of the images printed to showcase the work. Everyone got a set to take home so they could show off their work. I think they liked them because look flowers! I’d like to thank everyone at the Bennachie Visitor centre who have been so supportive and enthusiastic throughout this project. Go see them and enjoy this wonderful place. I am enjoying this project more and more. Everyone is getting to know each other and it is such a friendly and fun place to be. I find these workshops very relaxing which is unusual as the tutor! I don’t have any of the worry that normally goes along with being the workshop leader. I have seen such a change in attitude in some of the participants from the first session. On the first session they were sitting around the table looking quite daunted by the art materials in front of them and didn’t make a move without my say so. These days they come in a grab whatever I have laid out and get stuck in full force with no inhibitions! So as a group we created lanterns. 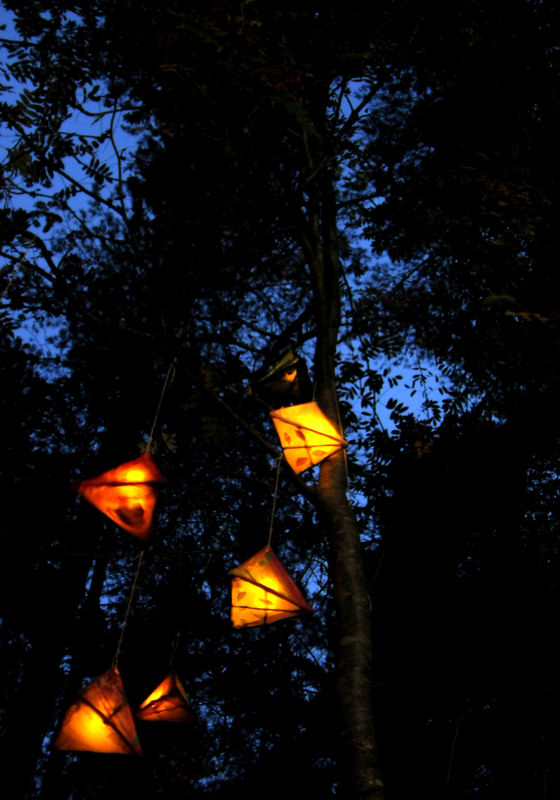 We used small pieces of willow to make triangle shaped lanterns with a battery powered tea light inside. Its that time of year again for young people from all over North Lanarkshire to spend an exciting day at Cumbernauld Theatre. I offered an introduction to light art (a project that has been very popular and successful over the last few years) and a new project – public art. My new offering this year is a public art project. 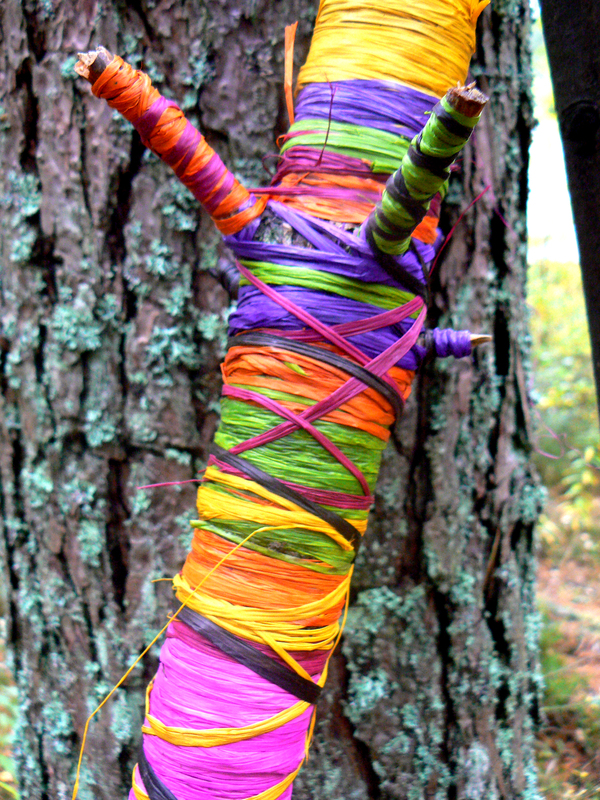 This is something I am becoming more interested in after my recent art trail projects. If the school choose this project they will have the opportunity to create an artwork designed specifically to enhance a space inside or outside their school. The group were shown a series of relevant images of my work as inspiration. They then created a mobile for their school as a quick introduction to the project. 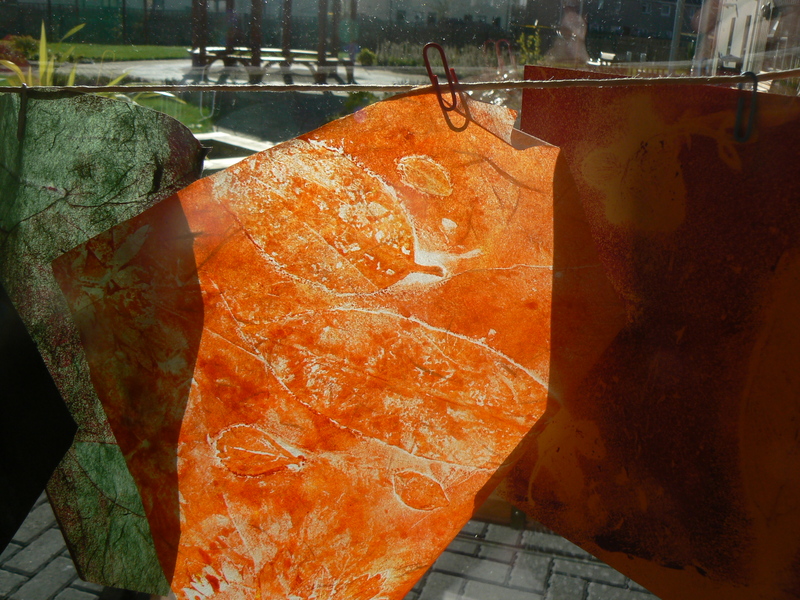 I will now wait to see if any of the schools choose to work with me for their larger project – fingers crossed! 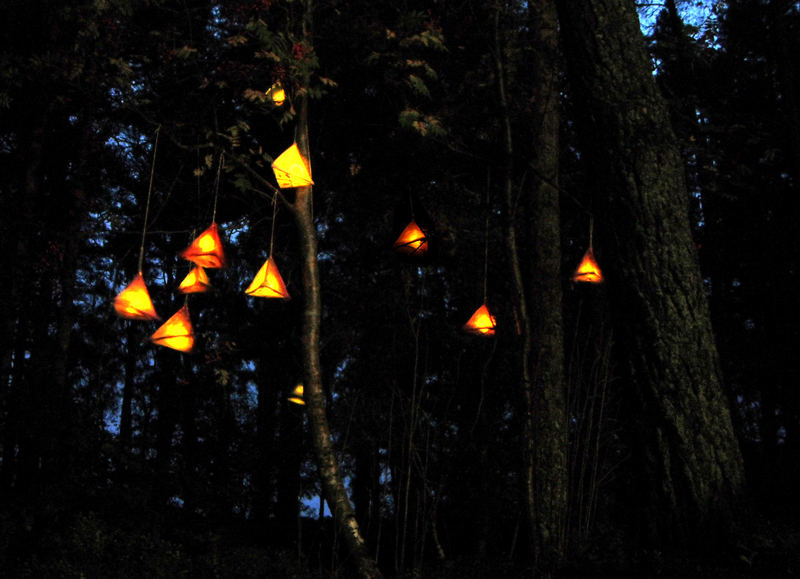 Luminate is an annual festival celebrating our creative lives as we age. Each October Luminate’s diverse programme attracts audiences from across the generations, showcasing dance, theatre, music, visual arts and community projects across the length and breadth of Scotland. 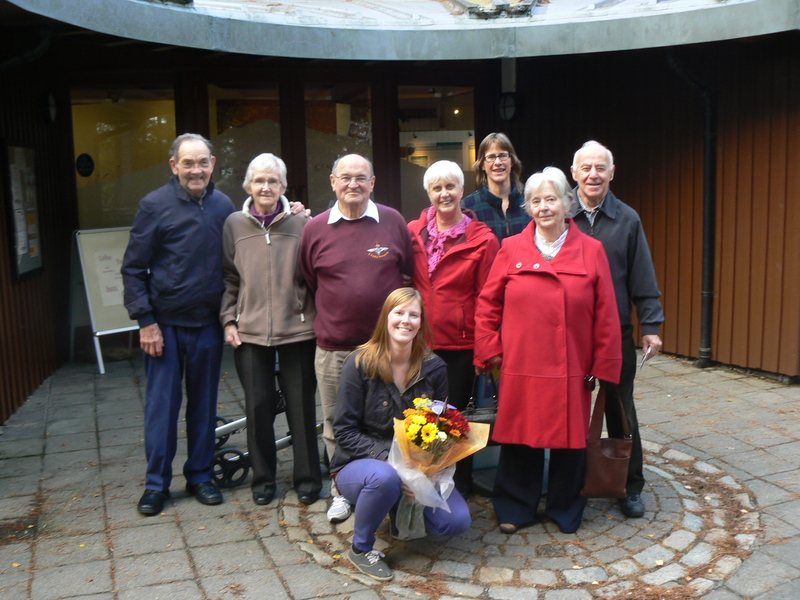 I was invited to work with residents at Edenholme care home in Stonehaven. Edenholme is a brand new care village so I was keen to create an artwork with the residents that could be left and enjoyed by all. With only 3 2hr workshops I knew this would be a challenge. 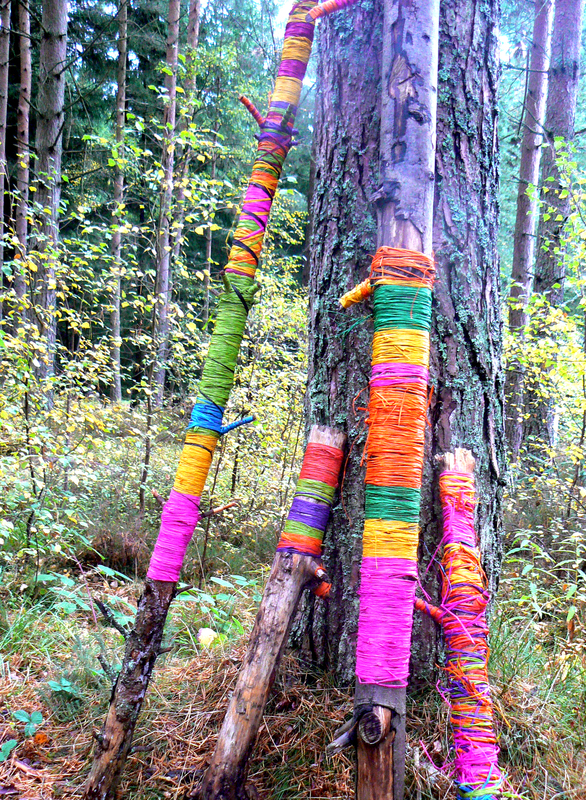 The artwork – patchwork garden. I decided to stick to themes that would be familiar to everyone. 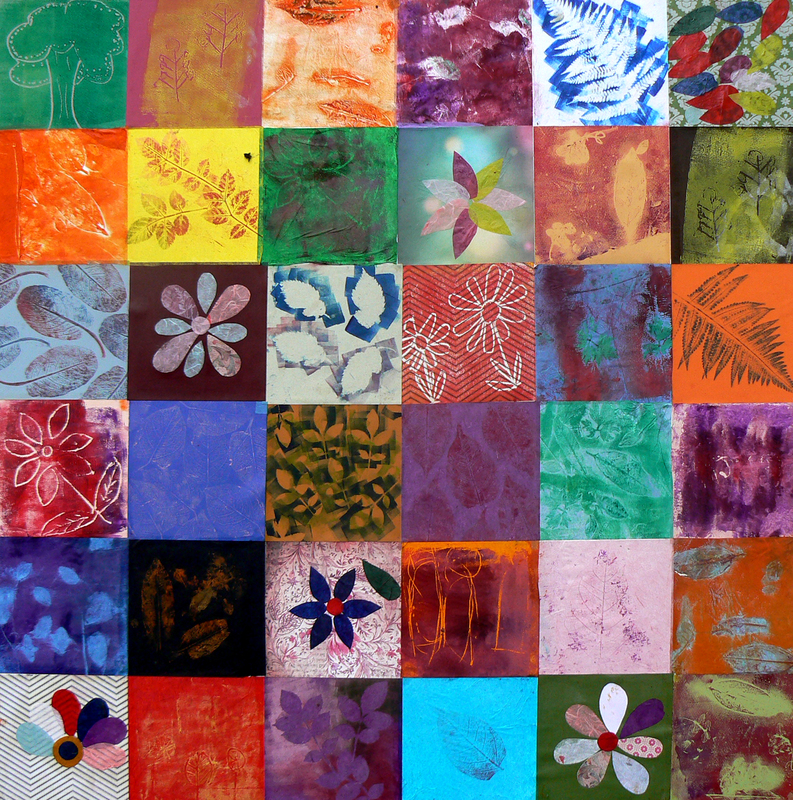 The participants would create small square images using different printmaking techniques. These will then be collated together patchwork style. 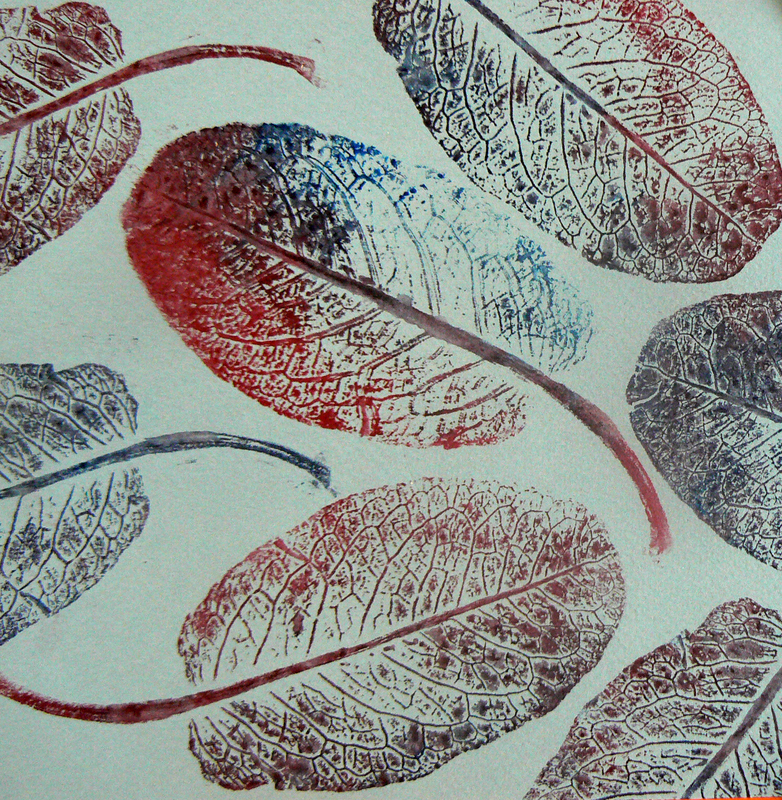 We worked with ink pads and real leaves to make prints. 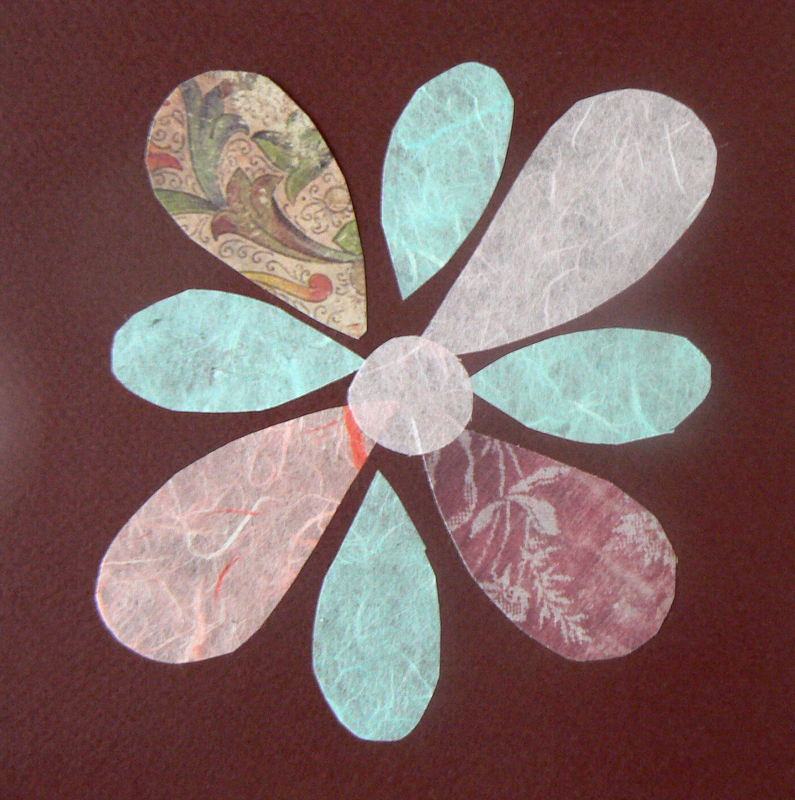 Then used patterned and coloured papers to create flowers to add to the leaves in the patchwork garden. 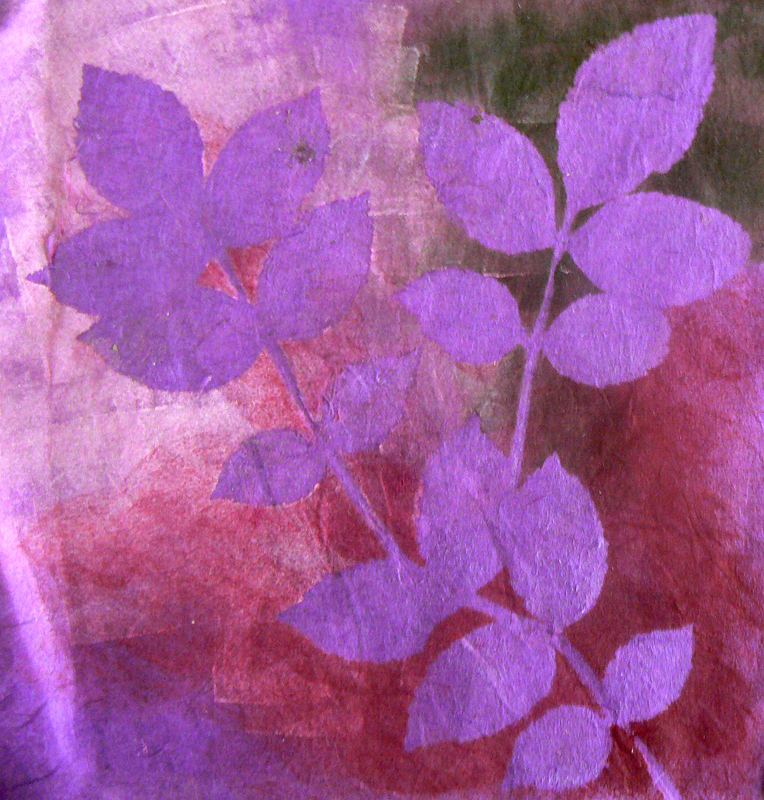 This session we used paints, rollers and quick print to make designs from leaves and our own drawings. We have lots of great squares to make up our finished patchwork garden. It was time to turn all of our artwork squares into a finished professional artwork for display. A result to be proud of and I think everyone at the home really is. I was thanked personally by one of the residents. She said, “Thank you for coming, I didn’t think I would enjoy it but I did.” This was the lady who didn’t want to be involved on the first day but was happy watching, she joined in on the second day and by the third she got stuck right in and thanked me at the end. I think because I ran a series of three workshops on three consecutive days I was able to build relationships and the residents were able to take their time and get used to me being there. Thank you to all the lovely staff who either helped or were there with smiles and positive words.